About the TempleVenkateswara Temple is situated in the hill town of Tirumala, near Tirupati in the Chittoor district of Andhra Pradesh. The temple is also known as Tirumala Temple, Tirupati Temple and Tirupati Balaji Temple. 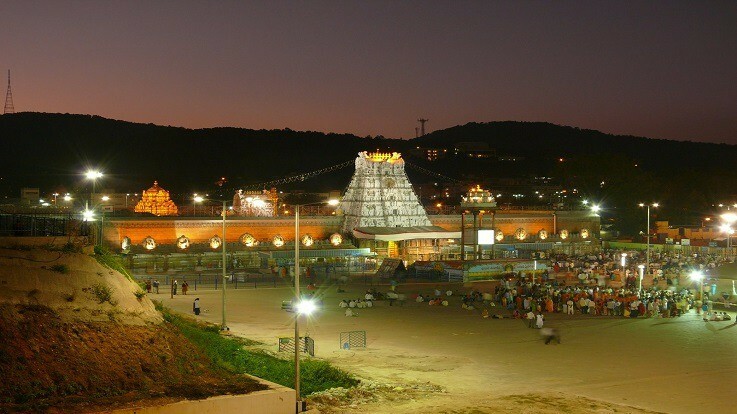 Sri Venkateswara Temple is dedicated to the Lord Venkateswara, an incarnation of Vishnu. Temple is richest temple in India and witnessing avg 80,000 devotees each day. The Temple is constructed in Dravidian style of architecture. The Sanctum Sanctorum is also known as Ananda Nilayam.  The main deity, Venkateswara, is in standing posture and faces east in sanctum sanctorum. The temple follows Vaikhanasa Agama tradition of worship. The temple is one of the eight Vishnu Swayambhu Kshetras.It is believed that the temple deity Lord Venkateswara, is believed shall remain here for the entire duration of the present Kali Yuga. LegendsAccording to the Varaha Purana, Adi Varaha appeared on the western bank of the Swami Pushkarini and Lord Vishnu in the form of Venkateswara came to reside on the southern bank of the Swami Pushkarini. Rangadasa, a devotee of Vishnu, during his pilgrimage, met Vaikhanasa Gopinatha, who was going up towards the Tirumala hill for the daily worship of Lord Venkateswara. After taking a holy dip in the Swami Pushkarini, Rangadasa saw the fascinating Lord Vishnu beneath a tamarind tree.Rangadasa was amazed by the wonderful sight around the deity, and he decided to offer flowers to Gopinatha everyday for Vishnu's worship. One day, Rangadasa forgot to supplying the flowers to Gopinatha for Vishnu's worship.The Lord then appeared before Rangadasa and said that he was testing his continence. Lord appreciated Rangadasa's devoted service to him. He blessed Rangadasa to be reborn as an affluent ruler of a province and that he would continue to serve the Lord, build a beautiful temple with a Vimana and high surrounding walls. Later, Rangadasa was reborn as Tondaman, the son of the royal couple, Suvira and Nandini. When Tondamar inherited his father's kingdom, as per the directions of Adi Varaha, he constructed a beautiful temple. Lord Sri Venkateswara temple has a great history. The rulers of all the great dynasties of the southern island have worshipped Lord Sri Venkateswara in this ancient shrine. The Maratha king, Raghoji Bhonsle, visited the temple and set up a permanent endowment to conduct the worship and puja rituals in the temple. He also offered the valuable jewels to the Lord and a large emerald which is still preserved in a box named after him. 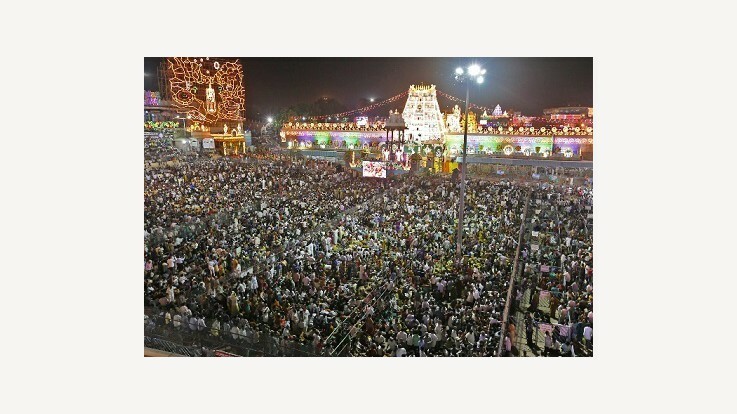 Festivals and CelebrationsBrahmotsavam, Vaikunta Ekadasi and Ratha Saptami are celebrated on the grand scale. Brahmotsavam is the biggest festival of Lord Venkateswara. The beginning is marked by the Dhwajarohana which involves the hoisting of the Garudadhwaja, near the Srivari Alaya Dhwajasthambham. A spectacular procession of Lord Venkateswara on the Pedda Seshavahana is taken around the four streets of the main temple till midnight. The meaning of Sesha is ‘to serve’. Adi Sesha is a thousand-headed serpent, on whom Lord Vishnu rests in his abode, Vaikuntam. 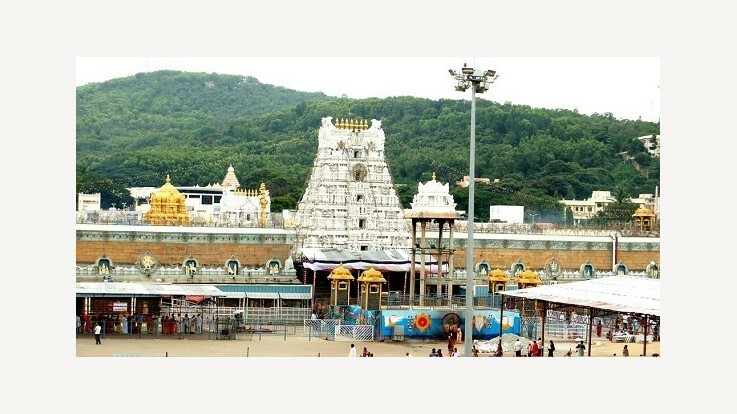 By Road: Bus and taxi are available from the main town of Tirupati to reach the temple. By Train: Renigunta Jn Train Station is 18 km away from the temple. By Air: Tirupati airport is 21 km away from the temple.